Well, I'm not sure whether I've even slept these past few days, but the campaign is set up, the guest blogs are written, the newspaper article comes out today, the radio spots are queued, the Valentine's podcast is out and I'm about to hit the Kristy's Quilt Kickstarter LAUNCH button at midnight tonight! So many of you have been following along and patiently waiting and I thank you so much for your encouragement and support! Whether you are a midnight owl, or an early morning riser, you can log in to KICKSTARTER after midnight to get the early bird backer special for $20 and help us build some momentum to reach our goal. 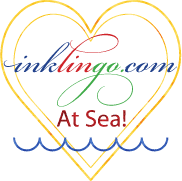 Funds from the backers will go to pay for the illustrator and production costs like layout, cover design, printing, shipping and other backer rewards. 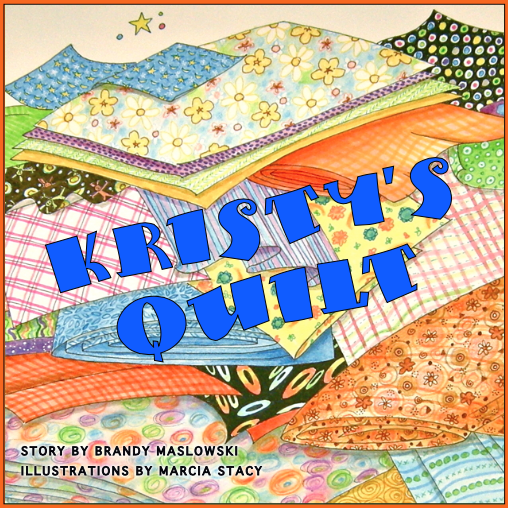 The entire goal of this project is to get Kristy's Quilt into the hands and hearts of children everywhere. Some say quilting is an old time pastime, but I disagree. 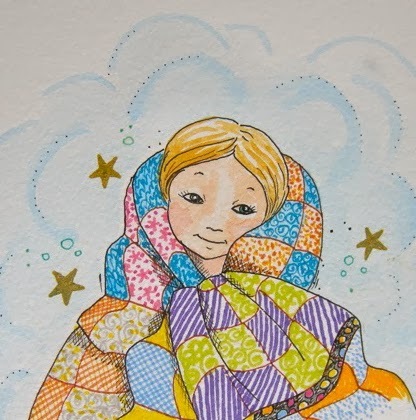 We can share quilting with a younger generation so they appreciate the effort that goes into making a quilt and we can open the door to emerging young quilters for years to come. Back the project and share your love of quilting with a child today…anytime after midnight that is! Go to KICKSTARTER and search Kristy's Quilt after midnight tonight. The campaign runs for one month starting on Feb. 14th and ends on March 15th at midnight Pacific time. For more information about the Kristy's Quilt project right now, you can check out the Tuesday Preview Kristy's Quilt blog post, or the Kristy's Quilt Podcast episode # 27.